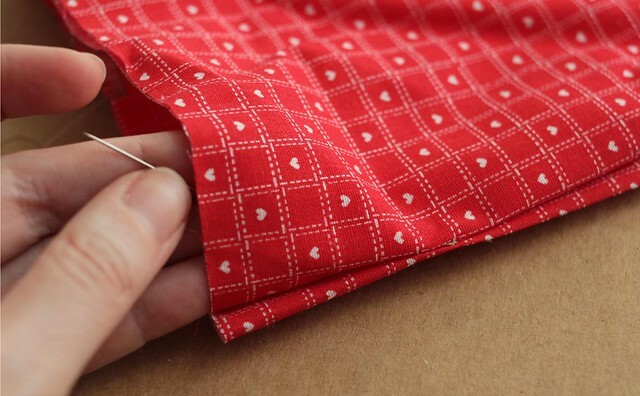 This sewing tutorial will show you how to hand slip stitch an opening closed. This is useful anytime you have two pieces of fabric, or any opening that you’re left with after turning a garment right side out after stitching it together and you’re left with an opening. This stitch is done by hand and leaves an invisible line of stitching that closes up your opening. Probably one of the most fundamental hand stitches, it’s definitely the most handy. 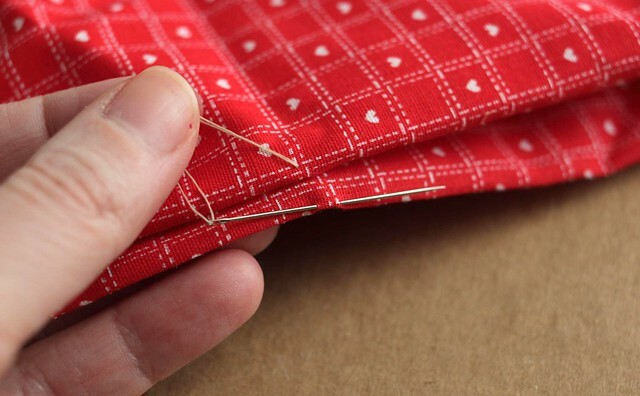 This stitch is also really useful if you ever have a hole in your clothing, couch seams, or any fabric. Use this to close it up without any stitches showing! Thread your thread through your hand needle and secure a knot at the end. You’ll have your 2 pieces of fabric, with the RIGHT side of your fabric showing. Make sure the ends of your fabric have been turned under so your edges are nice and neat. 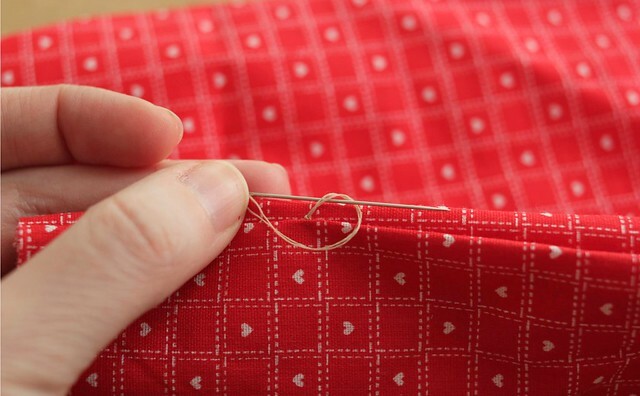 From the inside of your garment (if possible) push your needle out at the fold of your fabric. Push your needle back in the fold of the other piece of fabric, and slide it down the inner fold and push it back out, about 1/4 of an inch down. Continue this method, going back and forth between the pieces of fabric, until your opening has been sewn shut. I like to go back over each opening 3 or 4 times to make sure it’s secure. 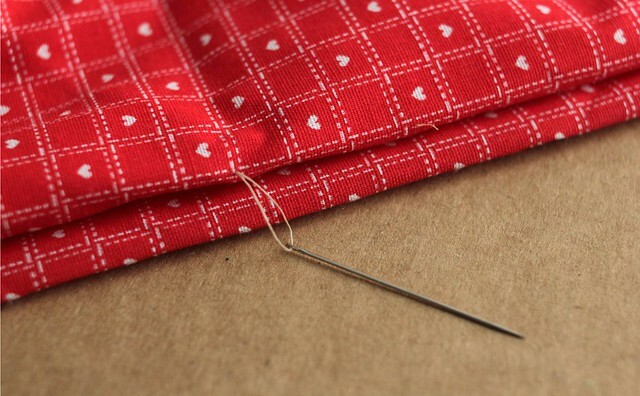 Once your opening is closed up, use your needle to tie a knot close to the edge of your fabric. Now pull your needle all the way through to the backside, and tug at it so that it pulls your knot to the backside of the fabric. Clip your thread and you’re done! 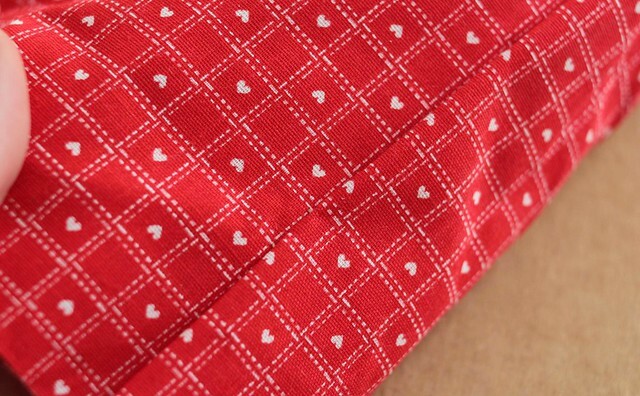 You should have a neatly sewn seam with no threads showing. This sewing tutorial is one of the techniques that is used in my sewing patterns. My sewing patterns and tutorials are written for beginners and are easy to follow. They’ve been thoughtfully designed and thoroughly user tested, to make sure anyone can pick them up and easily make their garment or accessory. Each pattern comes with a booklet full of easy to read instructions and pictures at every step. This hand slip stitch technique is used in patterns like the Cat Eye Sleeping Mask, Vintage-Inspired Turban, Men’s Bow Tie, and Detachable Peter Pan Collar.